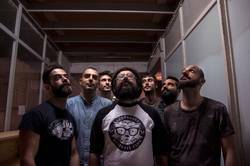 Paper + Pastick will release a new flexi 7" by Greece's The Contenders on Oct. 26. One half of the 7" EP is streaming now at Dying Scene, the song "Double or Nothing." Desrbed as a 7 piece ska/soul/rocksteady combo, the Athens band blends traditional ska and rocksteady influence with classic R&B such as Sam Cooke and Otis Redding.